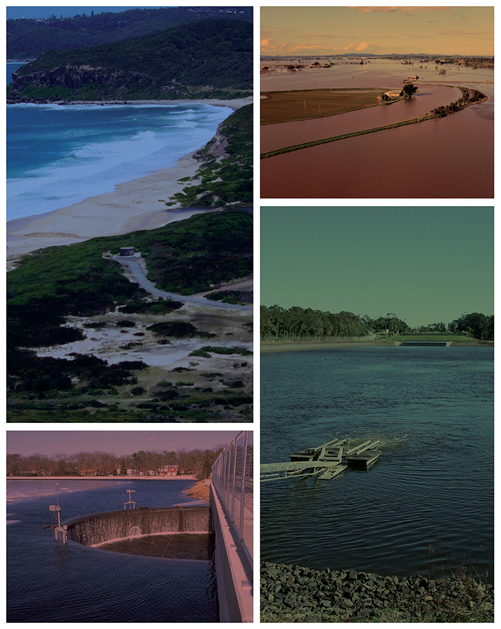 This presentation will demonstrate the use of the Australian Rainfall and Runoff data hub. The ARR Data hub is your one stop shop for design flood estimation inputs. The talk will outline the methodology used and the benefits of the data hub. A how to guide for some of the new aspects of ARR will be presented for example how to apply storm losses and preburst. The seminar will feature a question and answer session on the new ARR application. management, infrastructure and dam studies for a wide range of water managers and infrastructure owners. As Managing Director of WMAwater, Mark runs a specialised water engineering consultancy employing more than 35 water engineers in three offices. Mark has been instrumental in the update of Australian Rainfall and Runoff (ARR) which is the national guide for design flood estimation. Mark chaired the technical committee, was a member of the steering committee overseeing the project and is a co-editor of Australian Rainfall and Runoff. Mark has played a key role in development of a number of other guidelines for water engineering in Australia. Mark has undertaken a number of expert advice roles including the Queensland Floods Commission of Inquiry, Natural Disaster Insurance Review, Ministerial Advisory Council for the Wivenhoe Manual, and the Brisbane River Catchment Flood Study – Independent Panel of Experts. Mark was recently named the Sir John Holland Civil Engineer of the Year for 2017.